Like old pieces of barn plank wood turquoise color. Old sun bleached paint. 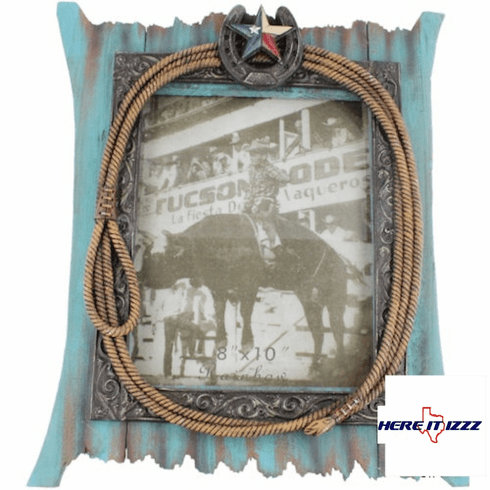 Lasso rope surrounds your favorite 8x10 picture of your horse. Above your photo is a horseshoe with a Texas flag star Centered​. These make really great gifts to friends and family with your photo included.